They say when life gives you lemons, make lemonade. However if life gives you egg yolks as well, as it will if you make lots of meringues and royal icing, then you can make lemon curd instead! 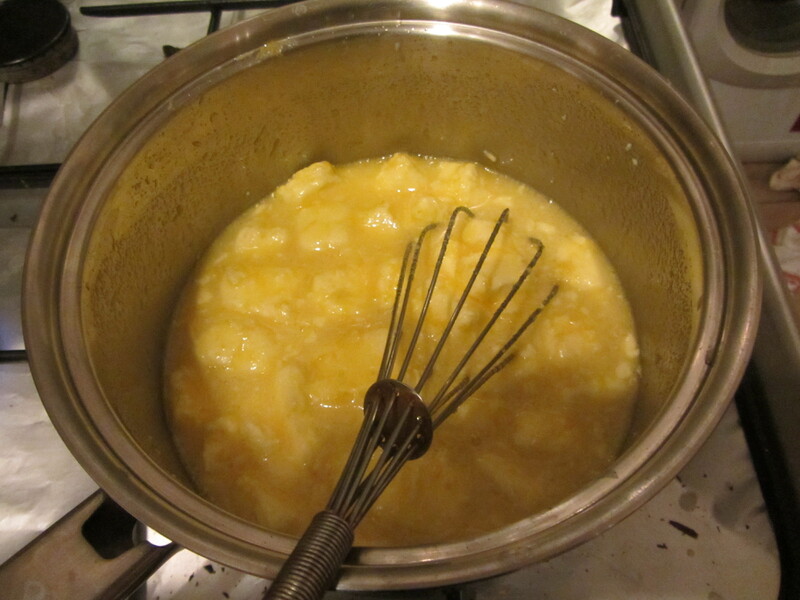 That all goes in a pan on the hob and you whisk constantly for about 10 minutes until it thickens. 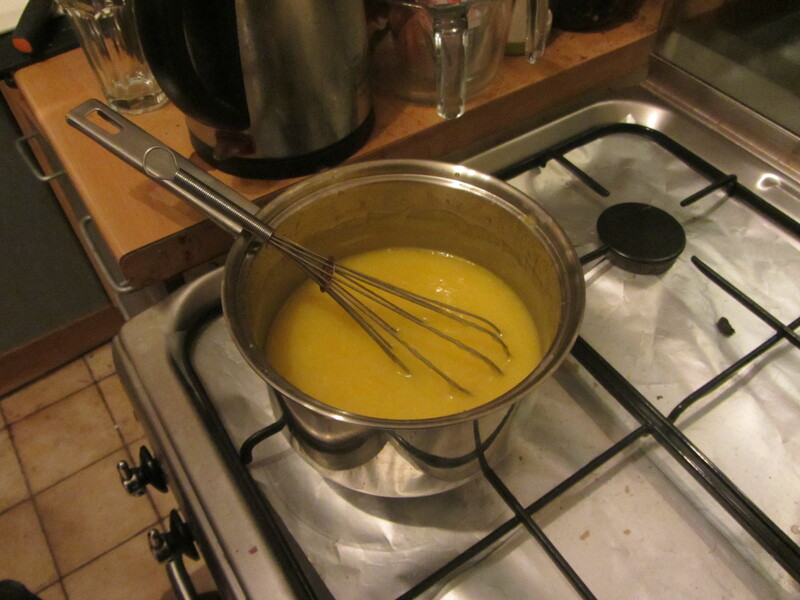 Once the liquid coast the back of a wooden spoon it comes off the heat, still whisking all the while. 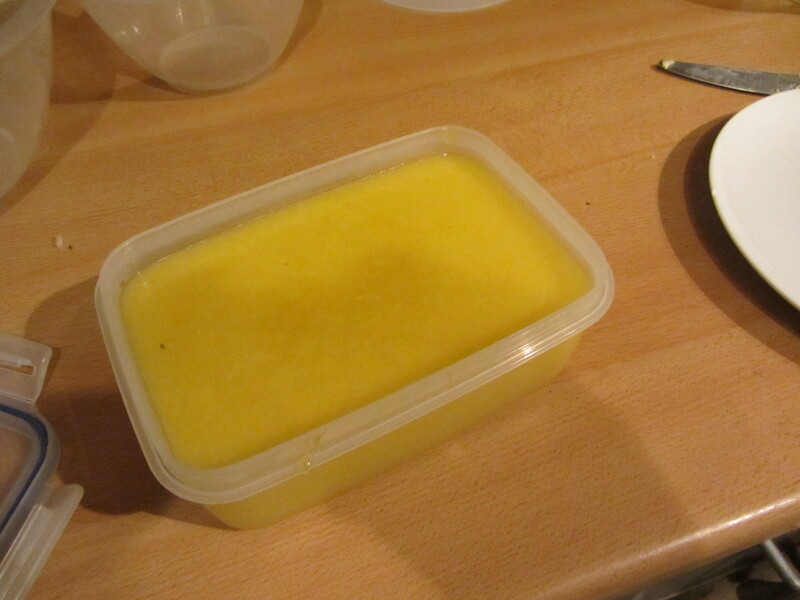 Then it goes in a container to cool on the bench before getting chilled in the fridge. After it’s been in the fridge for a bit it sets up nicely, and it’s ready to try… on say a panettone! 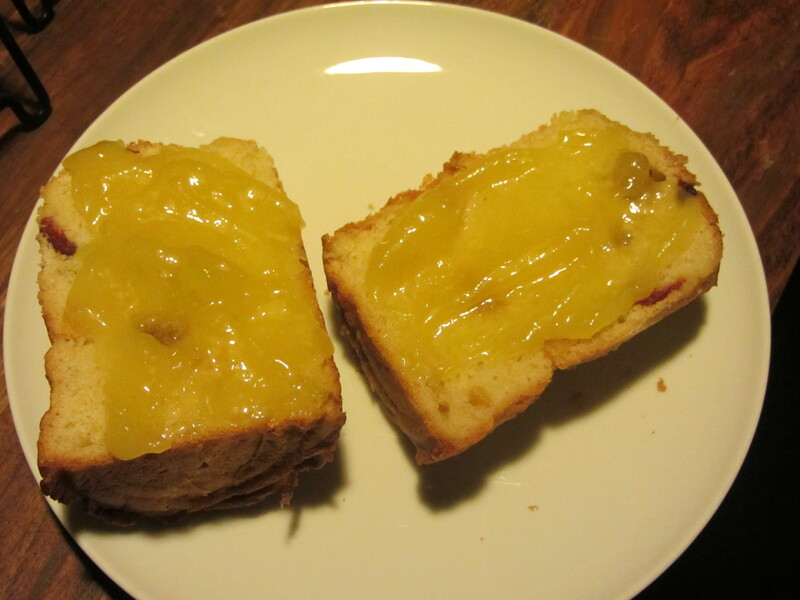 Home-made lemon curd is SO much nicer than the shop-bought stuff. Pity we cannot grow our own lemons in the garden. ← General Tso’s Chicken – Again!